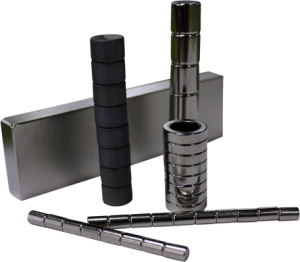 Rare earth magnets such as Neodymium-Iron-Boron have permanent magnetic capabilities yet are far more advanced and developed than Ceramic and Alnico materials. Their characteristics and properties are very distinctive. Neodymium materials display . Neodymium materials exhibit temporary or irreversible loss of flux at temperatures over 200 degree C. The Maximum operating temperature = 176 degree F.
NOTE: Magnets will be shipped MAGNETIZED unless otherwise specified. Additional sizes available in all grades.